Gain more versatility and efficiency from your Merlo telehandler by adding attachments. All Merlo telehandlers models: Compact, Panoramic, Turbofarmer, Multifarmer and Roto are designed to work with any number of attachments such as forks, buckets, clamps, hooks, jibs, winches and manbaskets. Merlo telehandlers, fitted with these attachments, mean one machine doing more which translates to significant cost savings in many applications otherwise requiring a variety of specific machines. 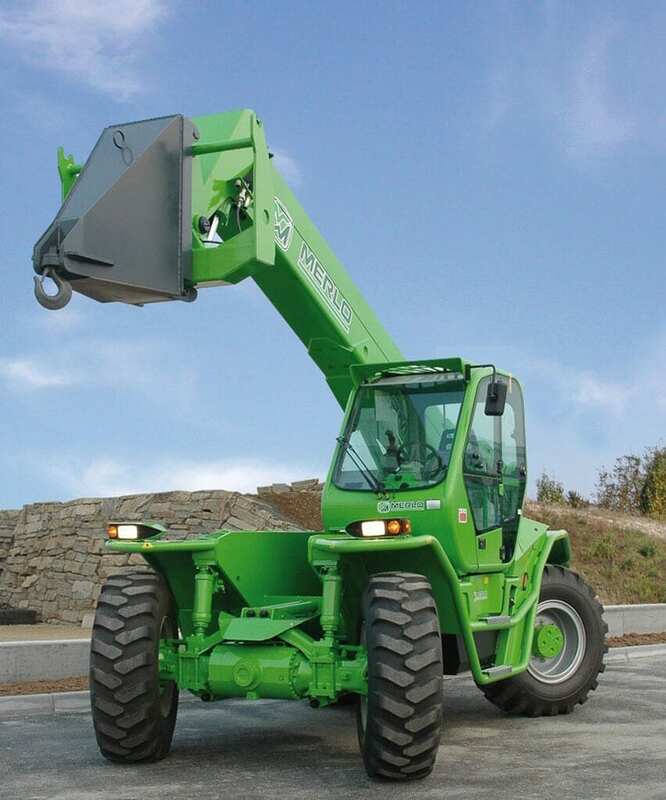 All Merlo attachments are easily fitted to the telehandlers with an exclusive “Tac-Lock” quick coupling system. Already got attachments? With our skid steer adapter in place on your Merlo, you gain even more from your equipment investments. Contact us to learn more about Merlo attachments.